As the church growth movement enters middle age, it’s time to ask some tough, but fair and necessary questions. Recently, I've had several conversations with friends who teach church growth principles. Several of them have asked me some version of the question in the title of this article. More church leaders are asking hard questions about the church growth movement. And this time it's not just the usual cynics, it's leaders who previously would have – or did – embrace those principles with open arms. More church leaders are asking hard questions about the church growth movement. And this time it's not just the usual cynics. This is not because there’s something inherently wrong with the church growth movement, but because it’s been around long enough to see, not just the short-term successes, but the long-term challenges as well. Every set of principles should be able to stand up to scrutiny, so these new questions should not be seen as a problem, but as an opportunity to learn more about such an important aspect of church life and leadership. For several decades now, the burgeoning field of church growth has relied on learning new ideas, testing them in real-world situations, then promoting the success stories. 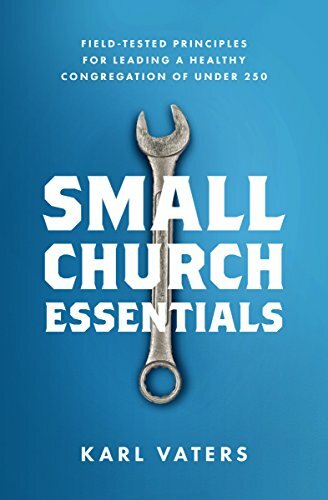 But as church growth principles come to the half-century mark, they’ve been around long enough to see a sizable number of stories on the other side of the ledger, too – churches for whom church growth principles not only didn’t work, but seemed to create more problems than they solved. This shouldn’t surprise or upset us. After all, facts are our friends. And if those facts are now exposing some previously unseen problems, we need to explore them with eyes wide open. Or we’ll never be able to fix them. Here’s why more pastors are questioning church growth principles. It’s not because we don’t want churches to grow. We do. It’s not because we’re against big churches. We’re not. It’s not because we think small churches are better than big churches. We don’t. It’s not because we think church growth principles have nothing to offer. They do. It’s because every good idea has unintended consequences. And the art and science of church growth is no exception to that. One of those unintended consequences is that in too many situations, numerical growth has become the goal rather than the means to a greater end.